Blighted Nation: Episode Two - Did The British Cause The Famine? 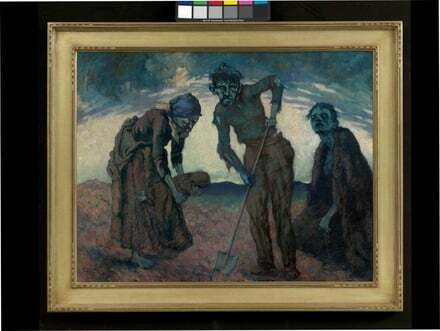 The Great Famine began in September 1845. Ireland was part of the United Kingdom which was the richest and most powerful nation in the world. One million people died - and a further two and a half million emigrated within ten years of this catastrophe. It started as a natural disaster but did Britain’s response turn it into a manmade disaster? Was excess grain shipped to Britain during the famine? Would the British Government have let Devon and Cornwall starve? These are among the questions we asked on this programme which explored Britain's response to the famine. The programme was punctuated by pieces recorded in New York and Ireland. Laura Trevelyan, the great great granddaughter of the much vilified Sir Charles Trevelyan puts forward her view that he was a more humane figure than has been portrayed. Prof Mary Daly of University College Dublin, author of The Famine in Ireland. Prof. Peter Gray of Queens University Belfast, author of the Irish Famine. Tim Pat Coogan, author of The Famine Plot. John Kelly, author of The Graves are Walking joined us from New York. 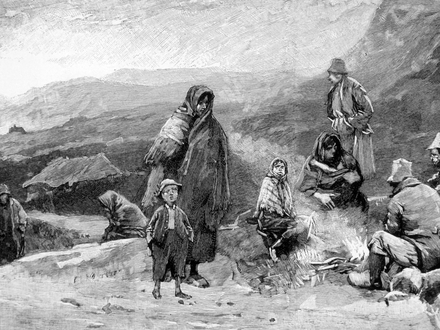 The Great Famine which struck Ireland in the middle of the 19th century was the biggest social catastrophe in Irish history. Over one million people died. The potato-dependent poor - landless labourers and small cottiers were wiped out. Blighted Nation presented by Myles Dungan will explores how the Great Famine swept through Ireland and changed the country forever. Emigration became deeply institutionalised in Irish culture and even today, we are the only country in Europe and possibly, the world, that has a smaller population than we had in 1840. Recorded in Ireland and New York, Blighted Nation explores how our country's past resonates in the 21st century. In four one-hour programmes on four consecutive evenings Blighted Nation explores the arrival of the blight and its catastrophic consequences, Britain’s response to the famine, mass emigration as well as its aftermath and legacy. Famine Tribunal: Report from New York on the Famine Tribunal at Fordham University in April 2013. What Newspapers in the 1840s were saying: There weren’t many contemporary songs or paintings which dealt with the famine. But there is a wealth of written material. So how was the famine reported by Irish and British newspapers and what sort of prominence did it take. 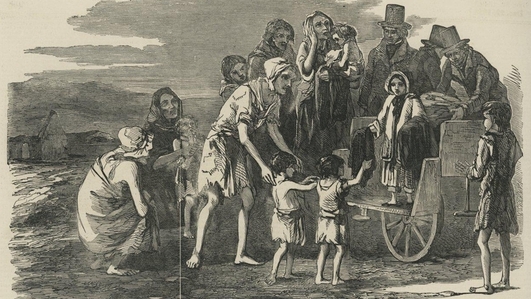 Historian Roisin Higgins explored how newspapers of the day covered the Great Famine. Laissez Faire by Declan O’Rourke: Post war Europe developed a social welfare system to provide certain minimum standards for people who have no means to support themselves. The Whigs under the leadership of Lord John Russell believed in laissez faire - that they should interfere as little as possible in the disaster that was unfolding in Ireland. Singer, Declan O’Rourke has researched the famine for a series of songs he’s written about the biggest social catastrophe in Irish history. He chose Laissez Faire to sing on this programme. 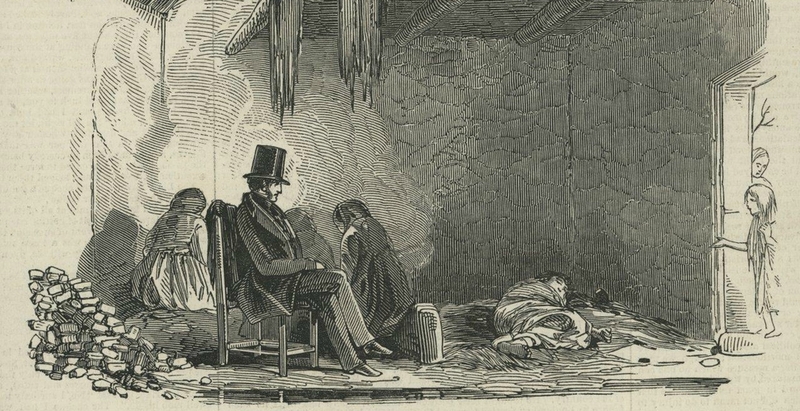 In defence of Sir Charles Trevelyan: The most vilified figure of the Great Famine is Sir Charles Trevelyan, the assistant secretary to the Treasury who was charged with overseeing emergency food supplies to Ireland. But a more complex individual is put forward by his great great granddaughter who has researched his life. Laura Trevelyan wrote a piece for this programme in defence of Charles Trevelyan. 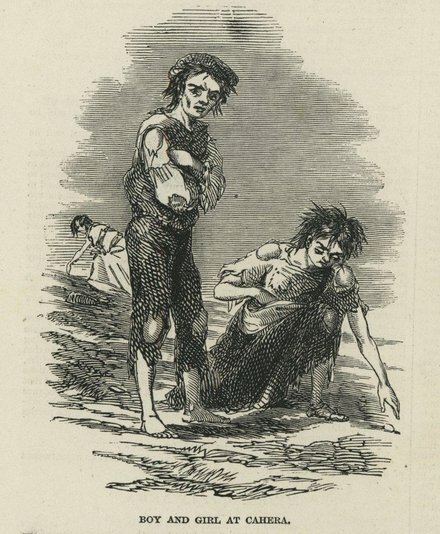 Learning about the Great Famine in the US: In the United States, learning about the Great Famine is part of the human rights curriculum in many schools. In New York, Nicoline Greer talked the person who helped devise the curriculum as well as some of the children who learn about the famine in school.